The Oregon Ryegrass Growers Seed Commission was formed in 1965 for the purpose of promoting and developing new markets for Oregon-grown seed. The non-profit organization, established and directed by local seed growers, contributes funds for research, education and promotion of ryegrass throughout the world. The Midwest (US) Cover Crop project was started in 1995 to expand the market for annual ryegrass. The project has been instrumental in bringing new awareness for healthier crop rotation and no-till practices. 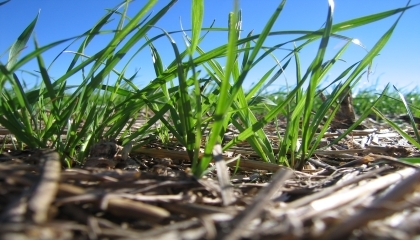 Annual ryegrass is among the most popular of cover crops in use, particularly noted for its erosion control, weed suppression, deep rooting and nitrogen scavenging capabilities.